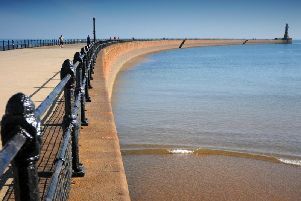 The weather in Sunderland is set to be mostly bright today, as forecasters predict sunny spells and some periods of cloud. This morning will see a mixture of sunny spells and cloud, with the temperature of 6C increasing to its peak of 8C by lunchtime. This afternoon will continue to see sunny spells, with the temperature remaining at 8C. This evening will become quickly dark, but remain dry, with the temperature dipping to 4C by 7pm. Overnight temperature of 2C. Tomorrow will be mostly cloudy throughout the day, with the chance of some small periods of sunny spells. Heavy rain will hit from 8pm onwards, easing off by 11pm. Maximum temperature of 6C. Looking further ahead, the Met Office UK outlook for Friday 8 Feb to Sunday 17 Feb said: “It will remain unsettled at the end of next week. “A more organised band of cloud and rain will move east during Friday. “Meanwhile, Saturday sees rain clear to a mix of sunshine and showers with the most frequent showers likely in the north and west.